Orangevale Recreation & Park District (or OVparks for short and on the socials) has recently sent out a survey impacting Shady Oaks Disc Golf Course. 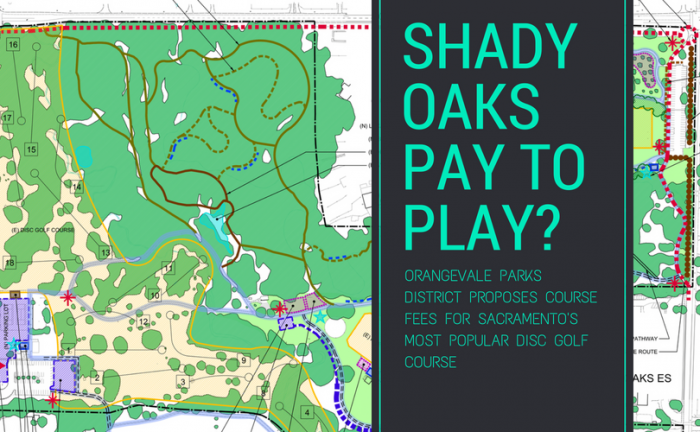 It seems that–true to various mentions swirling around the community and the Shady Oaks Disc Golf Club Facebook group–OVparks is finally proposing a pay-to-play model at the course. The District published a post on their site announcing the survey on April 20th of this year. This came ahead of the announcement of the June 7th Orangevale Community Park Master Plan Workshop #2, posted on May 17th, which prominently headlines discussion of improvements to the course. “The workshop is for the overall Orangevale Community Park Master Plan. Comments will be welcome from anyone regarding the Disc Golf Course as well as the entire park,” says Greg Foell, OVparks’ District Administrator. The workshop will take place at the Orangevale Community Center, at 6820 Hazel Avenue, a short way south of the course. 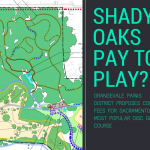 After a long history of Shady Oaks as a popular, successful and free to play course, some people are wondering why the discussion of converting to a paid course is being brought to bear after all this time. “The pay to play concept would allow the District to address park needs directly related to the heavy participant use at the Shady Oaks Disc Golf Course,” explains Mr. Foell. The course is arguably one of the highest trafficked course in the area, and many see the need for more work to be done around the facilities. The District’s Master Plan is working to make the course (and Orangevale Community Park in general) more equipped to handle higher traffic and heavier use. 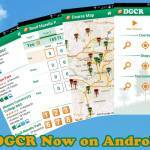 There is a great overview of the Master Plan in a PDF found on the workshop page. It’s actually a pretty interesting plan, and shows exactly what the current proposed upgrades and expansions are for the disc golf course and the park as a whole. There is also a copy of this posted in Final 9 Sports on the course, take a look next time you’re in the shop. 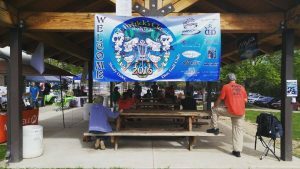 While the survey was initially posted a month ago, it seems to only have reached a larger amount of the local disc golf community last week. With the workshop coming up on the 7th, it was unclear if this was the final date for the survey submissions as it did not include a conclusion date for the survey. The district is trying to ensure that it gets in front of as many eyes as possible. “The survey is being distributed at the Disc Golf Course, at the District’s Orangevale Community Park master plan workshops, and is available on the District’s website at www.ovparks.com About/News or click the Orangevale Community Park Master Plan link on the front page,” explains Mr. Foell. Unfortunately, in going back over their social media sites, I didn’t see any mentions of the survey. The OVparks socials seem to exclusively post about classes, community events, and facilities like the pools, but no actual ongoings of District matters. “I believe links have been posted on some social media, [however] I’ll check further,” remarks Mr. Foell. So, what is in the survey? 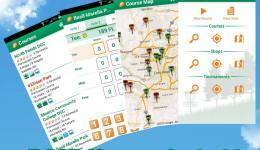 It’s pretty straightforward; a fillable PDF file made up of 10 questions with tick boxes and text fields, consisting of some basic demographic questions (where do you live, how often do you play at Shady, what do you like about the course), and then goes into pay to play fees and more. Starting with a list of possible improvements that the community may want to see, and then ranking the choices. The ranking section also includes a slightly more detailed breakdown of the choices, including estimated prices of the proposed improvements. What would this currently hypothetical marshalling program look like? “The marshalling program would be a combination of providing some course maintenance, helping educate patrons on regulations, and to monitor compliance with the payment of fees,” Mr. Foell explains. The majority of disc golfers abide by proper etiquette and do their best to leave the course as they found it–if not better. But for new players who don’t know these rules, this may be quite helpful. Course marshals could also help with course flow, and answer questions for non-locals if they’re the only players around (a rarity at Shady, but still useful). The survey goes on to discuss the per-day fee options, higher rate for weekend play, and a yearly pass option. Daily fees are being proposed at somewhere around $3-$6 for all-day play. The yearly options provided are actually tiered, providing lower costs to Orangevale residents somewhere between $100-$150 per year, and non-residents (as in, the rest of the greater Sacramento area) around $150-$200 per year. “Orangevale property owners currently pay property taxes and an assessment that helps maintain the District parks and facilities,” says Mr. Foell. It makes sense this way, as those of us who live outside Orangevale don’t have this tax support baked in. While some club members may feel like a discounted fee structure would make sense, the lack of this is understandable when you look at the division of responsibilities of the club and the district. The club fees go toward things like bag tags, baskets, benches, and other “micro” level costs, whereas the course fees themselves would go to the arguably larger cost items, such as facility maintenance, expanding facilities, manpower for enforcement, and larger scale course maintenance such as removing fallen trees and mowing the grass more often. Some disc golfers are also concerned with how the funds received from any proposed fee would be implemented. The survey states that a “majority of revenue generated” will go back into the course, and there is a valid expectation of what exactly that “majority” is, and how transparent the District will be with reporting the income and budgeting of the funds. “The District would be transparent with all funds collected. Fees collected would be budgeted separately from the District general fund and would be open to public input and scrutiny through the yearly budget process” assures Mr. Foell. The community will then be able to see exactly what money goes where. I would suggest reading through this document for some more information on the proposal. 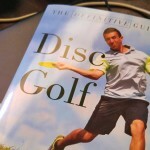 The disc golf content starts on page 50 by the page numbering on the pages themselves, not the PDF numbering (same as quoted above). The board packet does go into more detail regarding the conversation through the years that have brought this up to being proposed at this time, it’s worth a quick read. So, yes. There is a budget that exists in a somewhat very rough sketch at this point. And as mentioned before, the budget will be publicly available for community review, putting any possible concerns regarding the majority/minority split to rest. 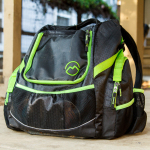 But if there is a sizeable minority not going directly to the course, what if these minority funds can also be used for other disc golf community-related causes? What about using these funds for community disc golf events, such as beginner courses, hiring touring clinics, or any other sort of event that mirrors the other types of events and classes that the District makes possible (and advertises on their socials)? “The District has not considered funding activities or events outside of what is discussed in the survey,” Mr. Foell responds. “Due to the fact that the District is in the preliminary stages of considering this proposal, public input will play a role [in] the final outcome and what is provided.” And how about the possibility of extra funds being used toward a second disc golf course somewhere in the District? “This has not been considered to date,” answers Mr. Foell. All of this is definitely putting the cart before the horse. The proposal and its details are very much up in the air, as there are many variables that can come into play in this situation. There are clearly arguments for and against the idea, and both sides have valid points to their stances. But the core of this is that after many years of Shady Oaks being a very successful and popular free to play course, that openness is now in the midst of a possible shift. It may be a very divisive change, and we may see a migration in course traffic with Rocklin standing to pick up more players on a regular basis. Personally, I’m still torn on the idea. I like the idea of the course getting more parking, cleaner fairways, and better erosion control among other improvements. Let’s face it, the bathroom upgrades alone are worth it. But I do wonder how a daily fee will affect casual golfers, or people getting into the sport for the first time. 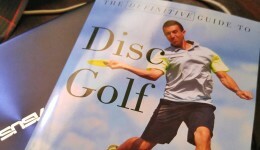 Part of the appeal of disc golf is that there aren’t course fees like with ball golf courses. Thankfully, nothing is set in stone either way yet. There is still much debate and conversation to be had about the District’s proposal. You can do your part by completing the survey before the cutoff date of June 22nd. You can also take part in the Master Plan Workshop on June 7th, as all are welcome. No matter which side of the debate you fall on, your voice can possibly play a part in the decision to move forward–or not–with this concept. Do the survey. Show up to District meetings. Voice your opinion on social media, tag OVparks when you do. 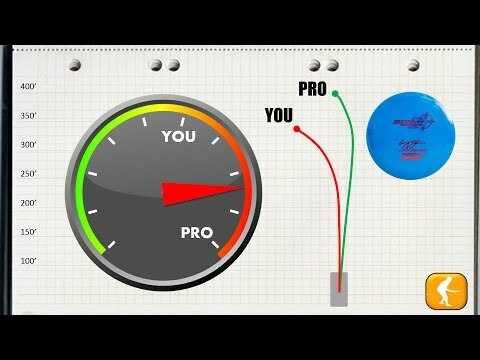 Whether you’re for or against a course fee, make your voice heard, and show the District that the disc golf community is involved and concerned about our courses.